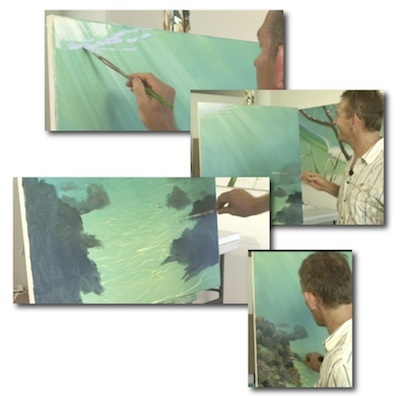 How to paint clear, luminous underwater tropical scenes. 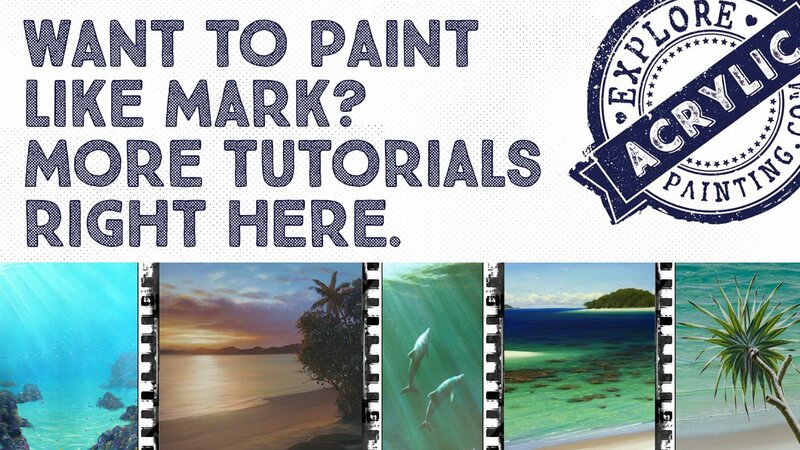 Have you always wanted to paint a beautiful underwater tropical paradise? Mark will show you how with his new downloadable tutorials, the V-Logs. Now available! Colour. Movement. Depth. Life. Light. All Yours. 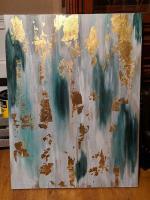 Gradation - Master this fundamental skill and give your paintings amazing dimension. Blocking In - Get your ideas down fast! Brush Techniques - Dry brush and wet on wet. 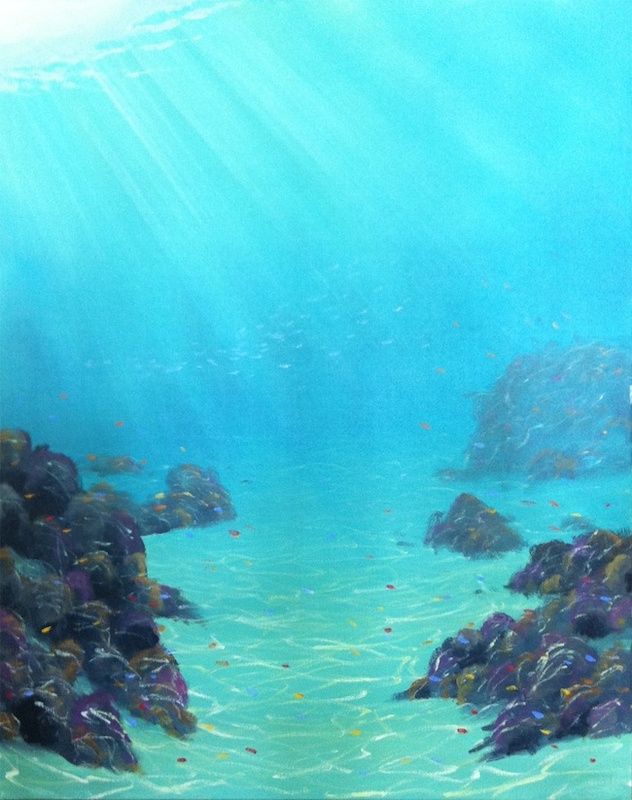 Learn how to paint rays of light filtering through tropical water. Episode 2: Glorious detail, flashes of luscious colour - adding dimension & light to the depth you created in Episode 1. Refraction Techniques - Create light that dances. 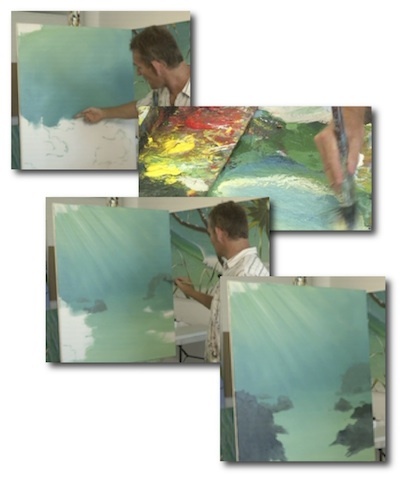 Shape your sandy substrate & add colour, form, texture and movement to your painting. Perspective - Create believable depth and realism with two simple perspective techniques. Convince - Learn how to add quick flashes of colour strategically to create schools of fish, and add convincing detail to your work. PDF - Coral Reef - Underneath "Recipe"
Subscribe to Acrylics Anonymous, our monthly online newsletter, for a 20% discount on the "Coral Reef - Underneath Complete Volume" V-Log. Plus great tips, a free 25 min video tutorial, subscriber only specials and the scintillating wit you have come to expect. It's fast, free, and we don't send you junk. Click here to subscribe. On purchase of your V-Log “Coral Reef - Underneath”, you will receive via email (the one you have linked to your Paypal account) links which are specific to your computer. One for your video file to download, one for your bonus PDF(s) file, and one for your video streaming option (this option includes a password). I watched the vlog first (well actually I have watched it several times), and I have to say it is great and very easy to follow. I can't wait for the next one :). I just purchased your v-log of coral reef underwater and I simply LOVE IT!!!! Being able to see Mark work and to see how he mixes his paints is very important to me. I learned a lot about gradation in this v-log. I also have seen the result in my first underwater work. I also like the sequence of colors that he uses - light to dark. Now that I have seen him work a painting I have been able to have much more realism and joy in my work. Thanks so very, very much. Please make more!!! This morning I downloaded and saved 'coral reef' with no problems at all. Mark is a great educator. I have spent most of my long life living in outback NSW so know little about the sea and how it behaves. 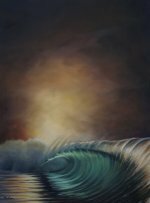 So not only have I learned how to paint it but also now have some idea about light on it etc as wll as how waves behave from previous videos. I am looking forward to more videos from you both. The video was awesome and Mark makes it look so easy. Wow that is exactly what I was hoping to see (all inspired now). Sorry for all the questions but they are thoughts now racing through my head LOL. If you really like this downloadable tutorial and want EVEN MORE waterly painting lesson goodnessy stuff, you should check out our other downloadable tutorial DVDs, pronto!